Every where I go lately in Mahahual and New Mahahual, there seems to be some kind of building or new construction going on. 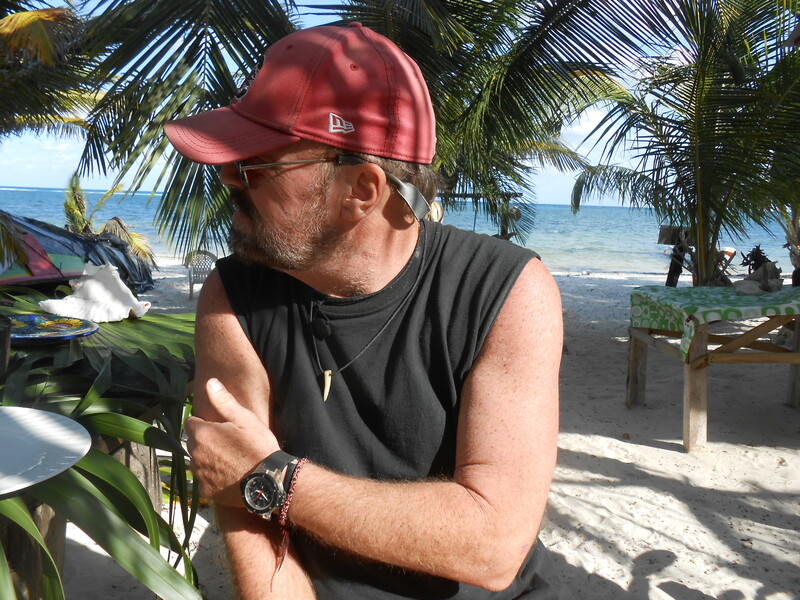 From new homes being built, to a brand new hotel in downtown Mahahual, and even construction on the malecon, development here is popping up everywhere. 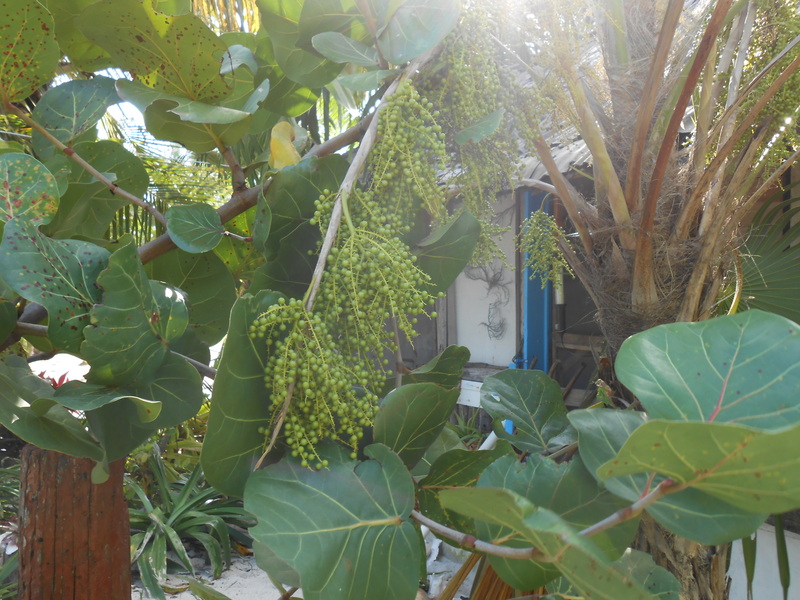 A brand new hotel in Mahahual is just about complete, and the finishing touches are being done now. The hotel is located one street off the malecon and should be open for business soon. New hotel in downtown Mahahual being completed. Also a new structure is starting construction on the malecon on the south side, and at the moment I do not know what is being built there. Also several condo projects on the malecon should start construction soon. With the annoucement of the new water park starting development, this will also add to Mahahual’s growth. 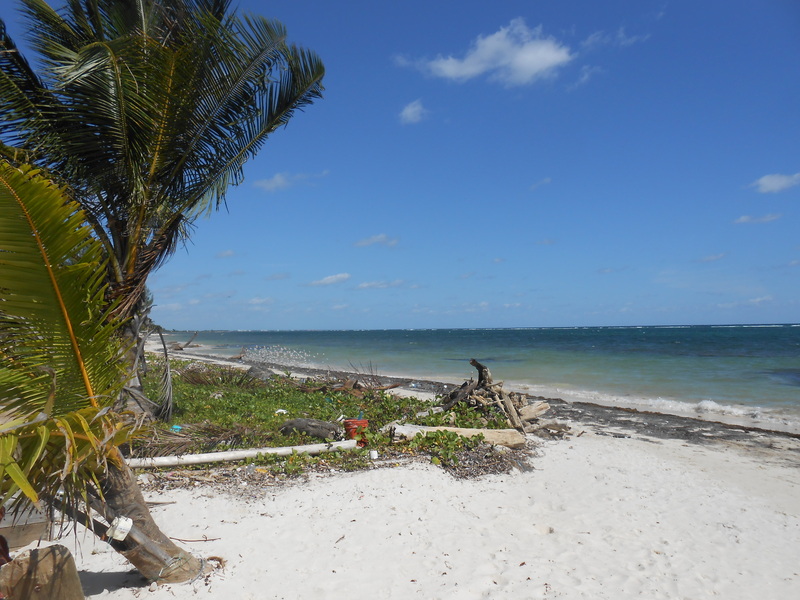 Also a lot of land surrounding Mahahual and New Mahahual is being cleared in hope of future development. Several nice homes have just been completed and should be ready to go on the market soon. 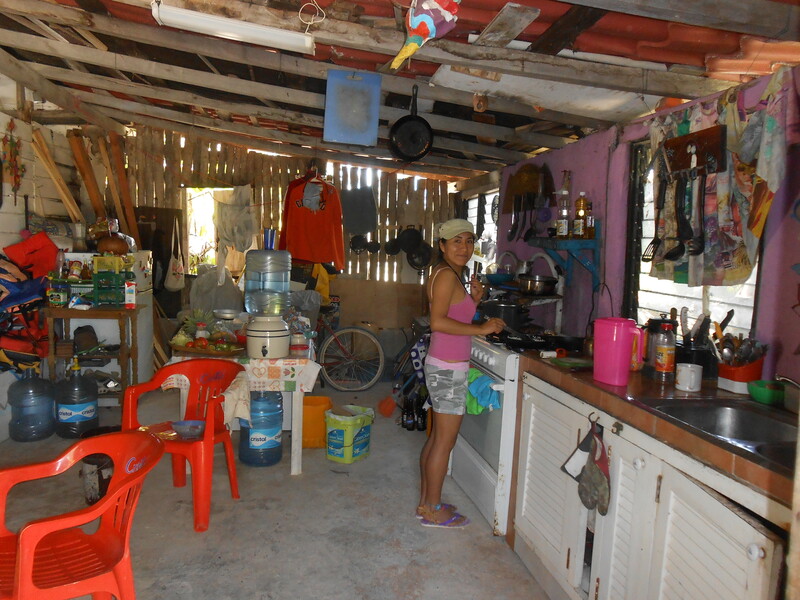 Home in New Mahahual just under completion. 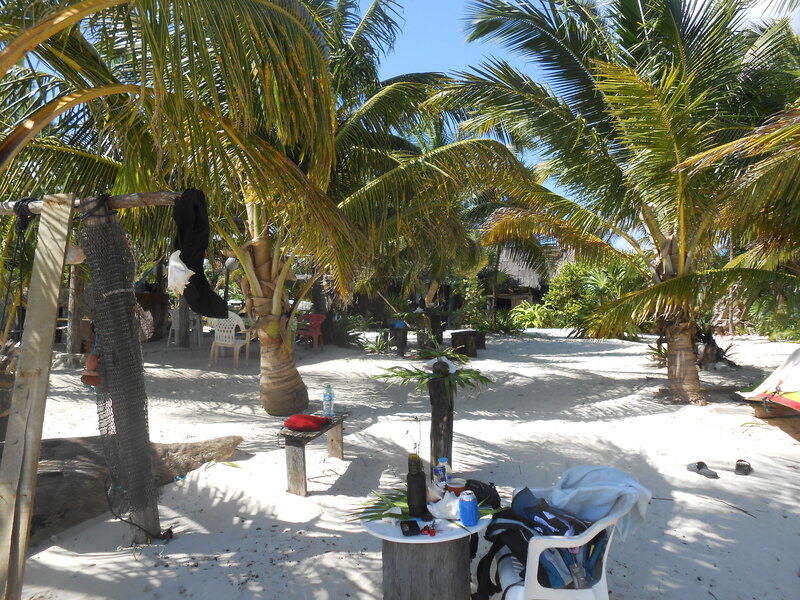 Builders and developers from Veracruz, and other parts of Mexico are buying land and property to take advantage of Mahahual’s future growth. Some of these bulders have plans to construct model homes in the area to showcase examples of the homes to be availiable here. 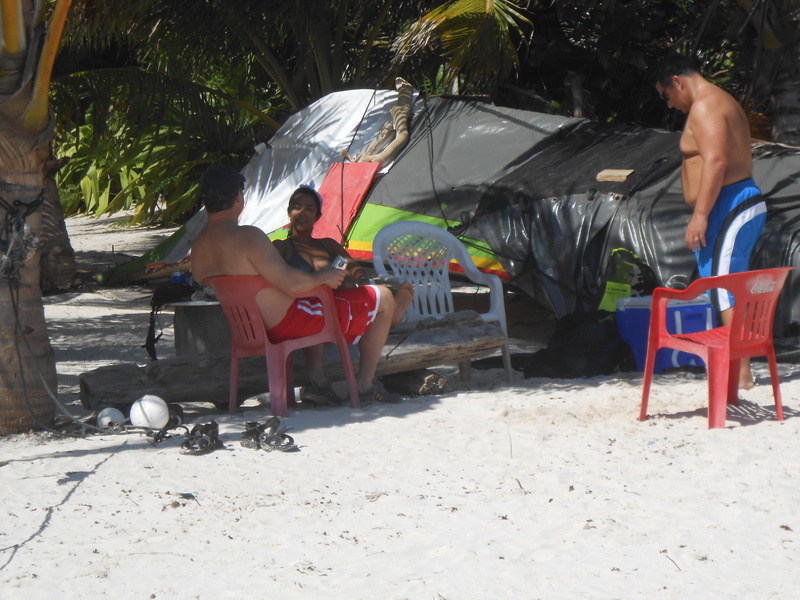 Many cruise ship passengers come to Mahahual on cruise ships, and like it so much they decide to inquire about living or purchasing property here. 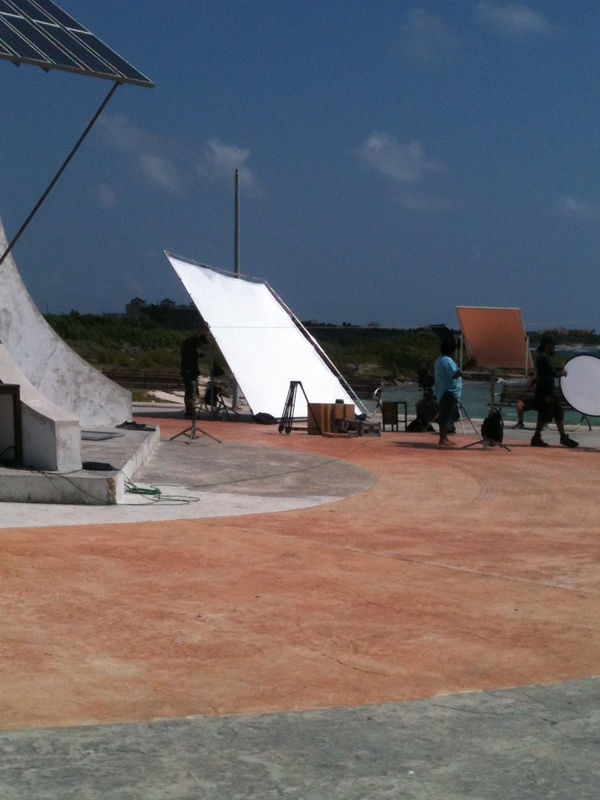 With all this exposure things look very good for the future development and growth of Mahahual. I will try to keep you readers abreast of the new changes and developments going on here as they are announced. Article from Noticaribe.com.mx., translated from Spanish. 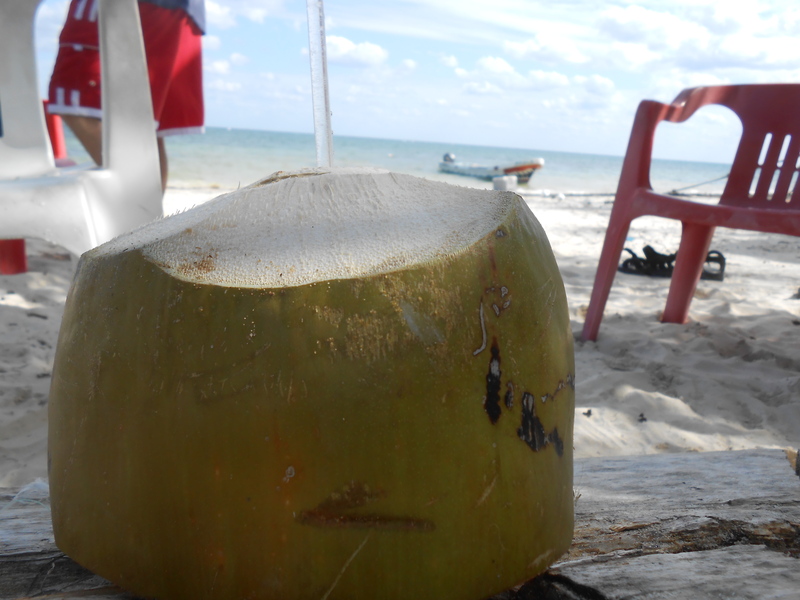 CHETUMAL , MX – . 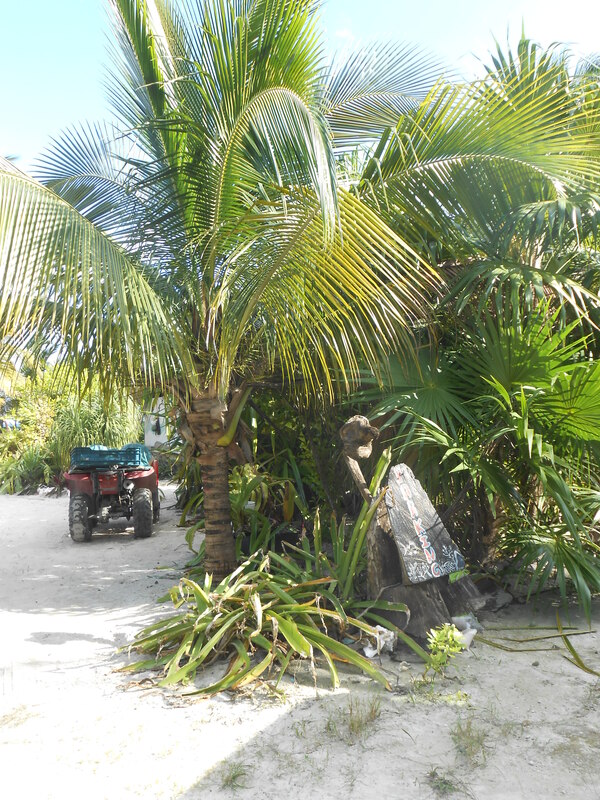 ‘s City Council members approved land use change in Mahahual for close to a residential area Puerto Costa Maya is used for the construction of a water park. 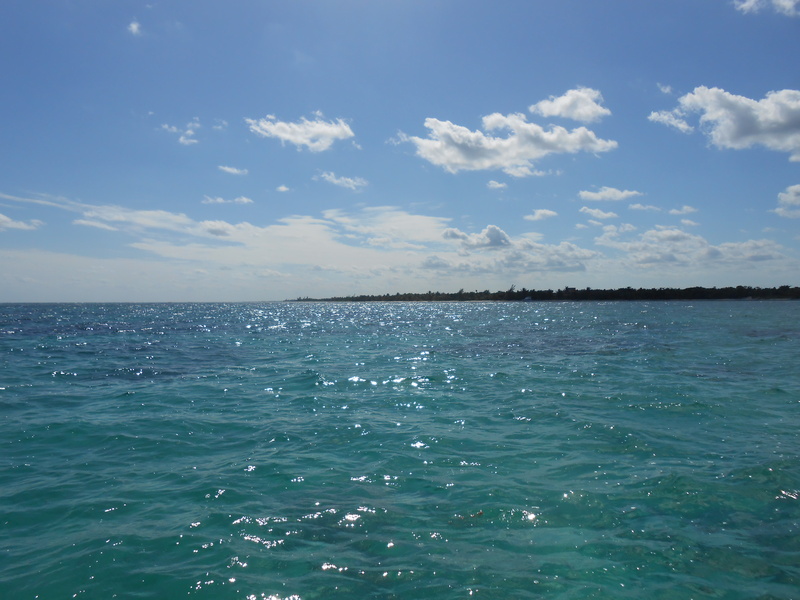 Since late 2013 , on pages related to the cruise activity , VP Marketing and Sales at Costa Maya, Robert Shamosh , had announced that starting in 2014 the construction of a water adventure park was planned . 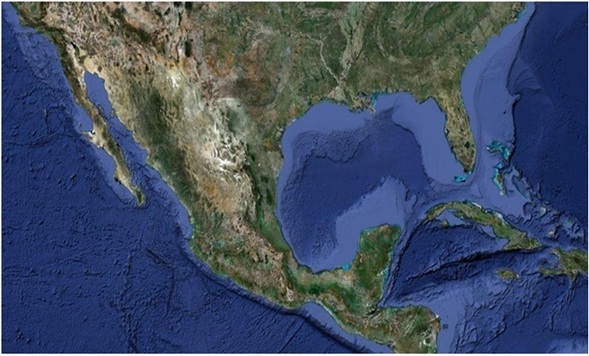 The allusion to the Mayan culture , theme park would be located within walking distance of the cruise terminal , and would like Xcaret or Xel -ha, major attractions of the Riviera Maya. The original project includes a river, zip lines, a rollercoaster , a fake pyramid with a parachuting game . In fact the pyramid will be built in an area to be visible from the cruise arrival. 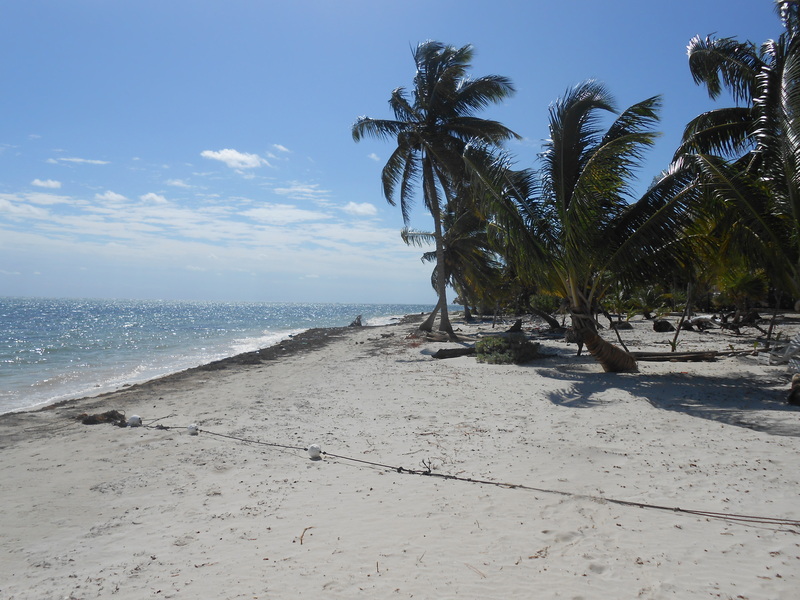 It should be mentioned that the land where the investment will settle , and that required a change in land use , is Isaac Hamui Abadi , owner of the cruise ship dock in Mahahual , who initially tried to acquire a property of the Municipality of Othon P. Blanco to build the project, but given the failure of the negotiations decided to do it in their own land . On this issue, the mayor of Othon P. Blanco, Eduardo Espinosa Abuxapqui said that “change of land use for the property is only five acres where a water park will be established , which will be a more attractive and Majahual which will be outside the cruise dock” , he said. 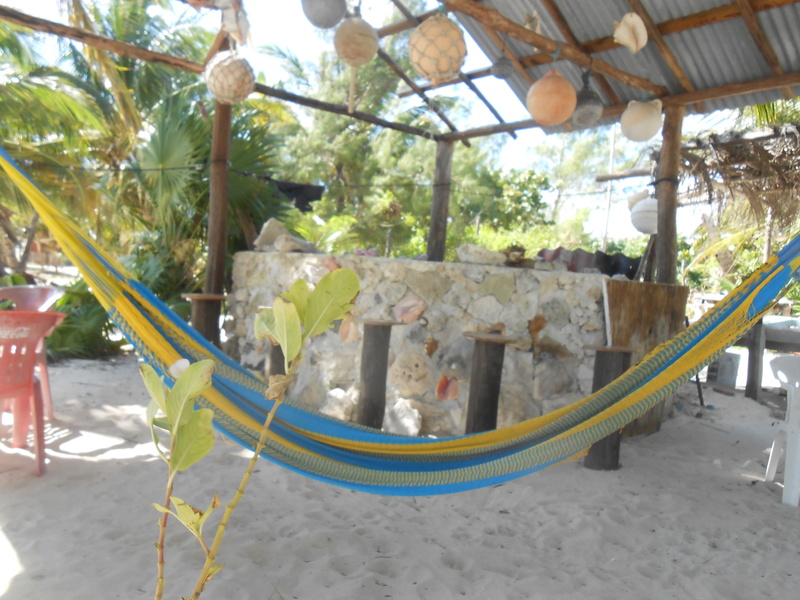 He said that within the Urban Development Program of Mahahual the property was residential, but was modified to develop tourism without affecting the environment. The mayor was clear in stating that the benefit of the project is for the destination, it will not be a unique theme park for cruise passengers arriving at Puerto Costa Maya, but is open to national and local tourism. Eduardo Espinosa added that the project will begin soon , as investors waited only get this change in land use to begin construction . A break in filming on beach. 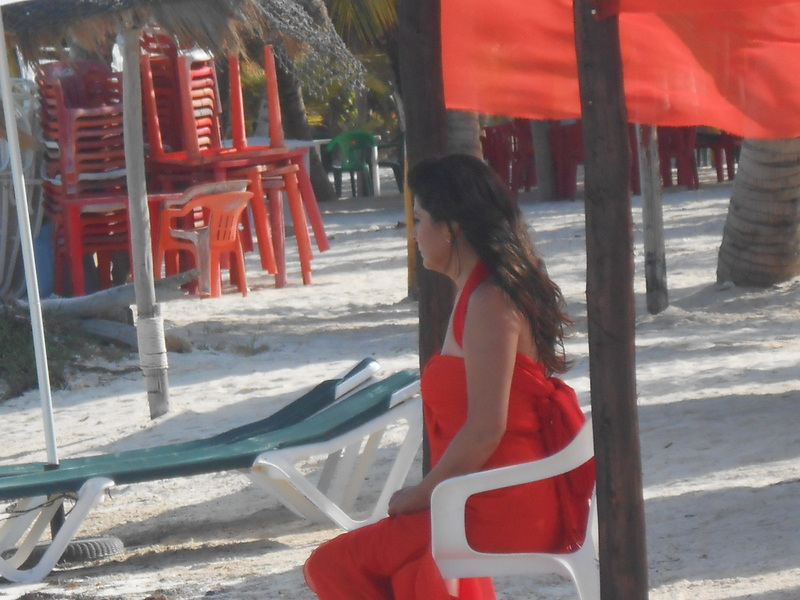 Victoria Ruffo relaxing during shooting. 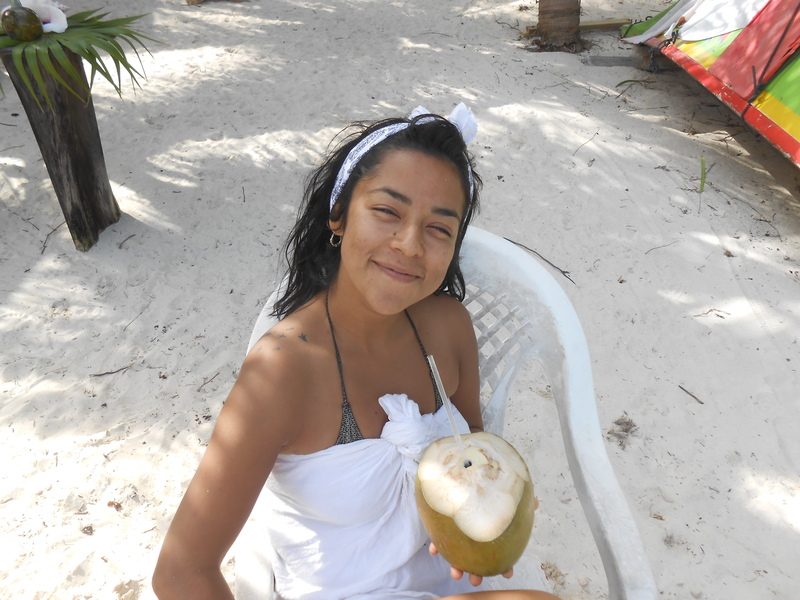 The most popular post on this blog I have posted was about Victoria Ruffo, a Mexican soap opera star who was in Mahahual the first week of April and filmes a commercial on the beach here. I will repost. 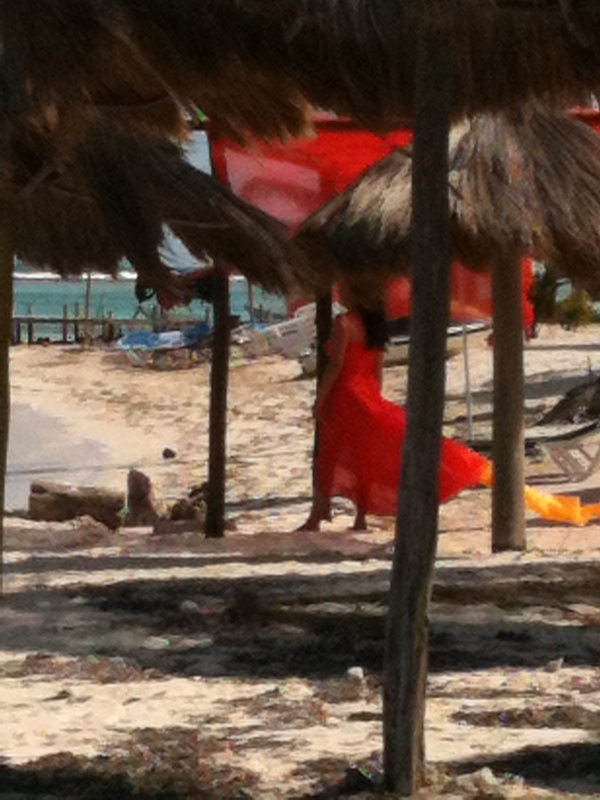 Vicroria Ruffo, known as the “Queen of the Telenovela” was in Mahahual the first week of April to film a commercial on the beach here in Mahahual. I was going down the malecon on April 2, and I looked over and there was a commotion on the beach, and a lot of people were gathered. Come to find out Victoria Ruffo was in town to film a commercial. Ruffo began her acting career in 1980 starring in the telenovela Conflictos de un Médico, under the direction of Ernesto Alonso, and continued her career acting in Al Rojo Vivo. In 1983, Valentín Pimsteín gave her the opportunity to star as the protagonist of La Fiera. Ernesto Alonso offered her lead roles in the telenovela Simplemente María. She has since acted in other telenovelas such as Abrazame Muy Fuerte . 2005 marked her comeback in the telenovela La Madrastra. After La Madrastra, she performed duties as the First Lady of Pachuca, with her husband acting as mayor while continuing to act in the soaps El Nombre del Amor and Victoria and Triunfo del Amor. After Triunfo del Amor, Ruffo focused on her family and doing theater plays, specifically Dulce Pajaro de Juventud. She also went to support the senatorial campaign of her husband, Omar, who eventually won a seat in the senate. In 2010, she was named as one of Latin America’s 50 Most Beautiful People. 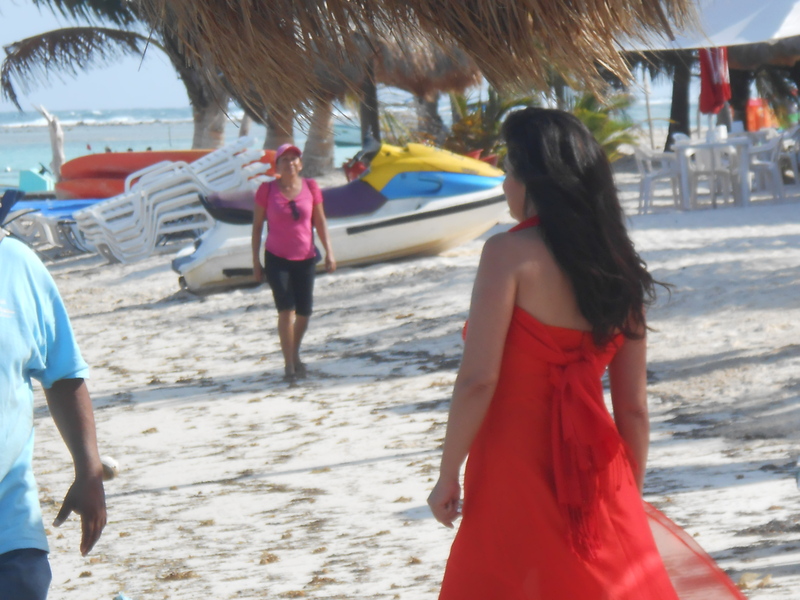 Ms. Ruffo is perhaps the most famous soap opera star in Mexico, and is known throughout the world. When this article was first posted it got response from all the over the world. I was very surprised how she was famous throughout Latin America and even in Europe. 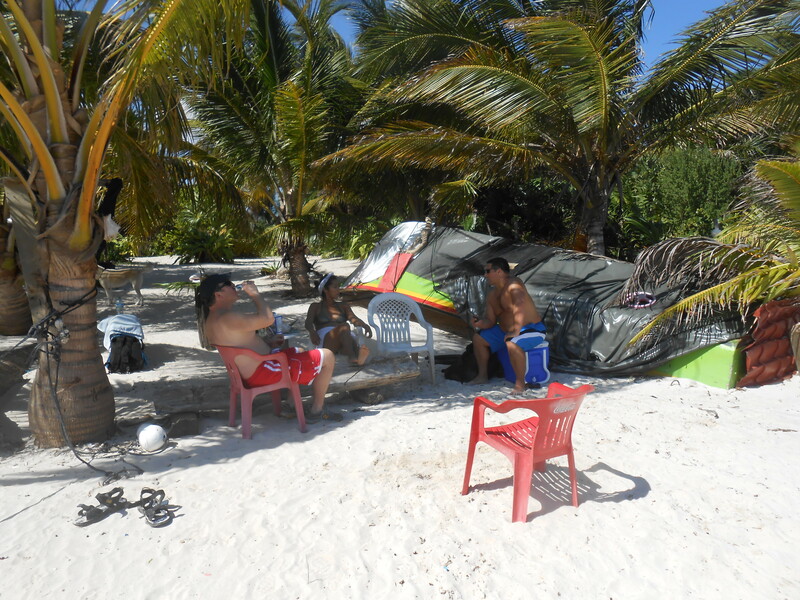 A lot of new homes are under construction or just completing construction here in Mahahual and Costa Maya. Here is an example. Architectural design Vanguard. High standard of construction. Designed and built by one of the leading firms in the development of the Mexican southeast. Brand new modern home. 2 bedrooms, 3 bathrooms (1 in master bedroom with dressing area), living room, kitchen, dining room, pantry, large rear garden, parking lot for 2 cars, reinforced perimeter wall, hydraulic system with large tank, pump and water heater. It is ready for the expansion of a swimming pool, terrace and laundry room. The home is also conditioned for the construction of a second story. Just a short walk to the beach. 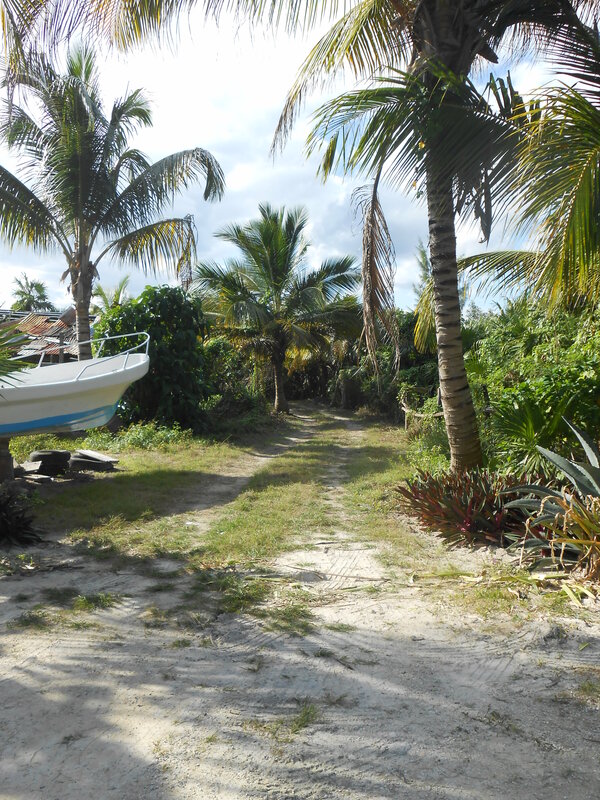 It is located in the most exclusive residential area of Mahahual. Located on a private street which guarantees security, tranquility, and privacy in the long term. 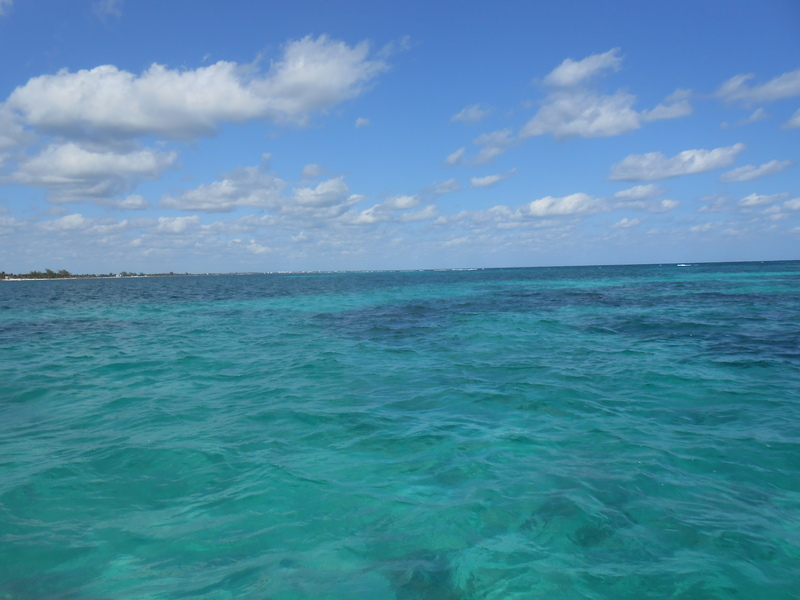 Just a few blocks from the international cruise ship teriminal ¨Puerto Costa Maya¨, and future water park. The house has a total of 1,025 square feet of living space and is on a 3,985 square foot lot. 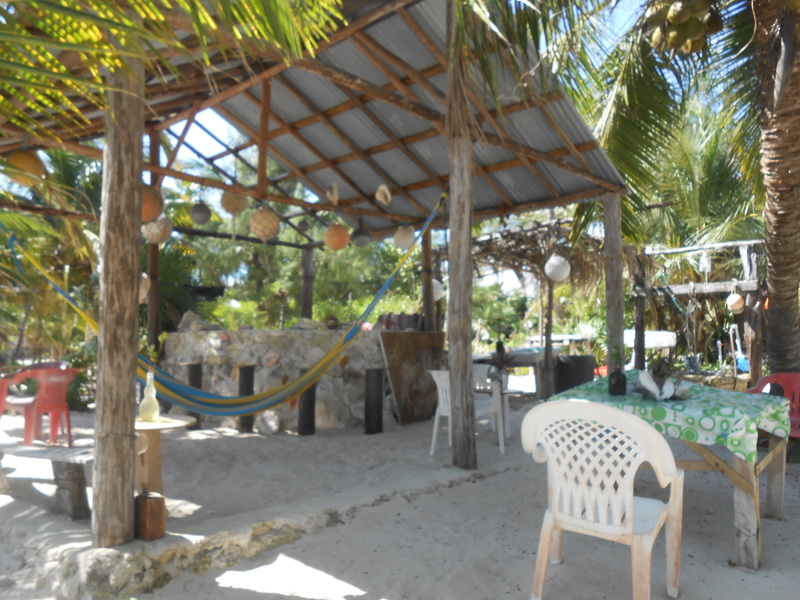 If you are interested in this home or any other property you see, contact us at http://www.mahahual-propiedades.com or hit the link on this blog. Repost from earlier this year. 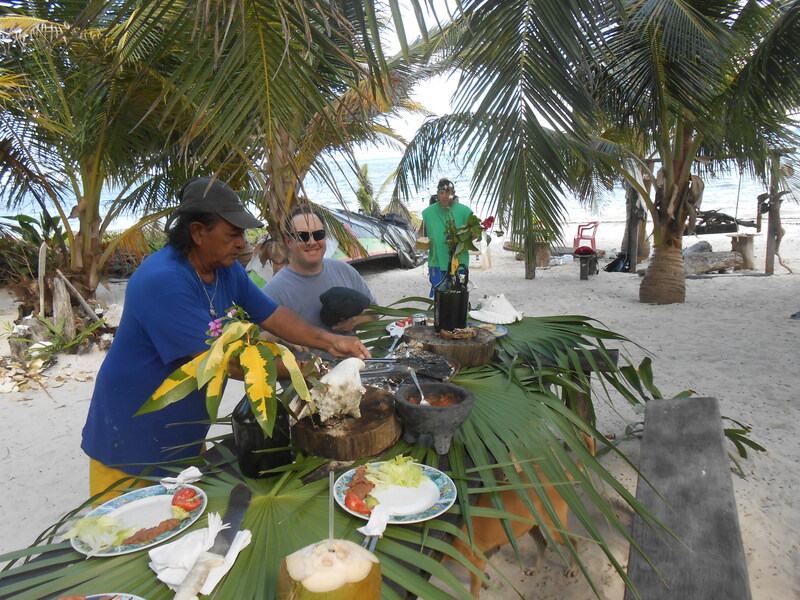 Snorkeling is fantastic here in Costa Maya, and this past Monday, I had the chance to go on a snorkeling excursion and shore lunch with a local legend here Captain Huacho. 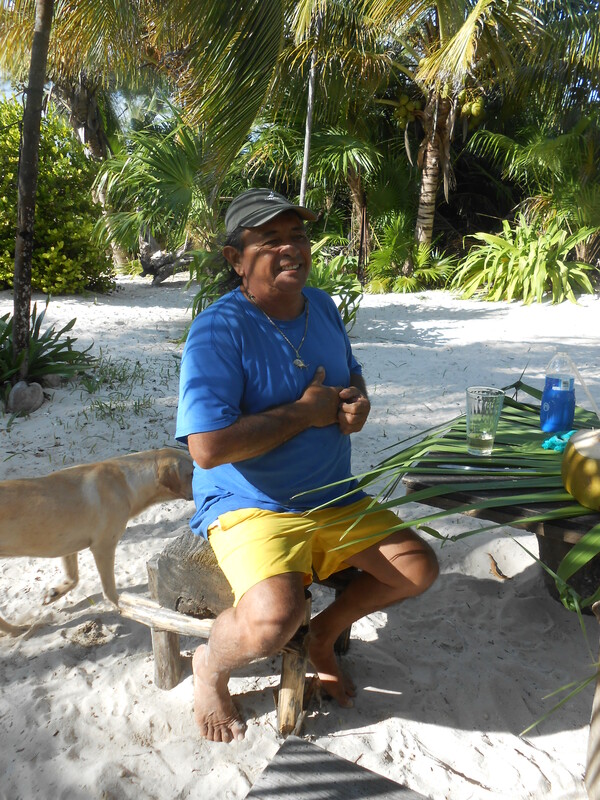 Captain Huacho is a world famous sailing captain, diver, snorkeler, and is a local legend here. I have written a blog about Captain Huacho on here before, so some readers may be familiar with him. 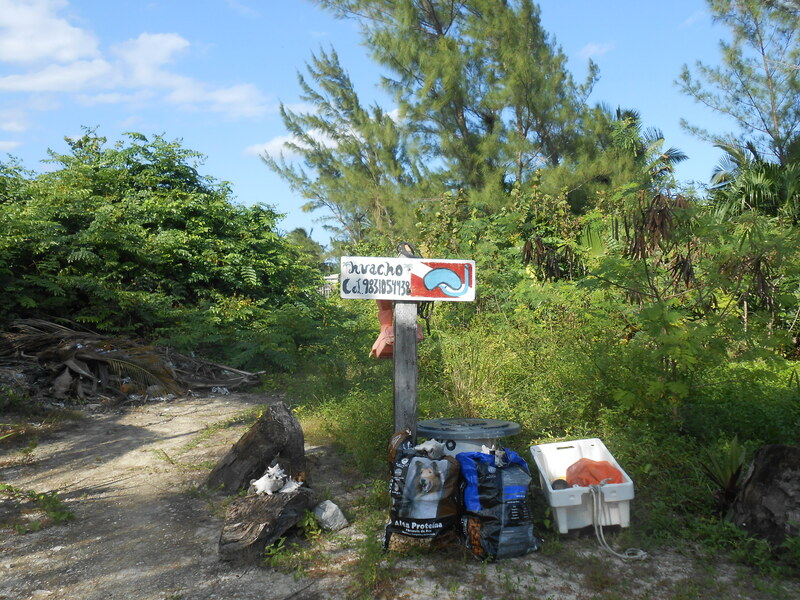 Trey Greeley, a blog reader of mine from Wisconsin, had read about him on this blog and asked me to set him and his friend down from Wisconsin, on a snorkeling trip with Captain Huacho. 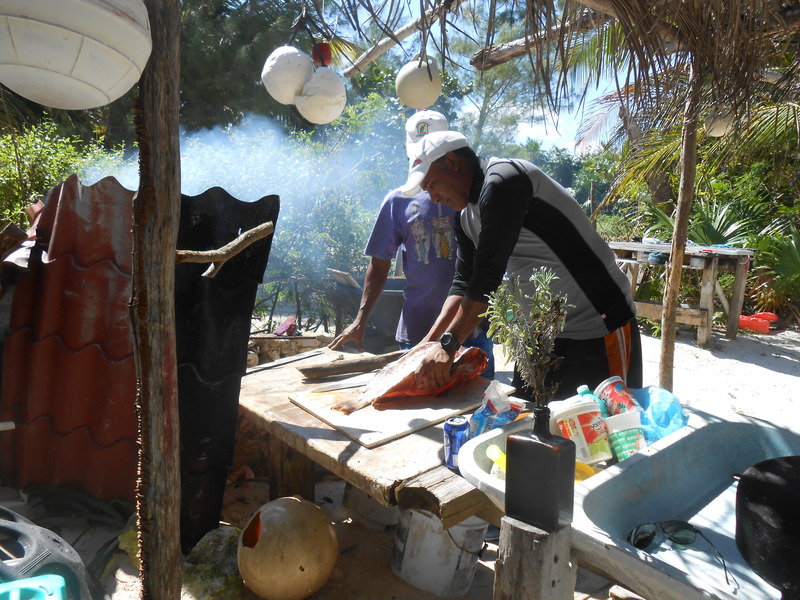 Trey and his wife own a house here around kilometer 14 on the beach road south of town towards Xcalak. Trey and his friend were in town for his friend’s birthday, and Trey wanted to set up something special for his birthday, so I got them hooked up with Captain Huacho at his place on Kilometer 9. 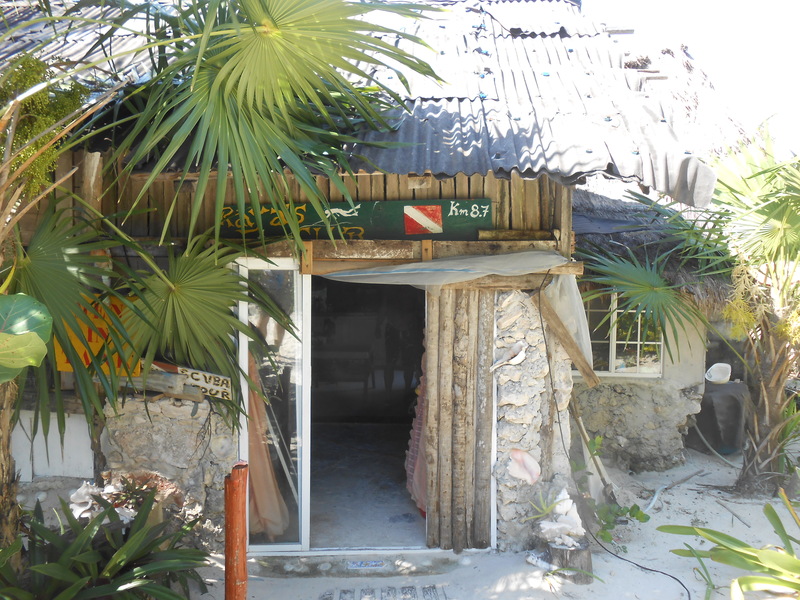 Captain Huacho is quite a character, he opened the first dive shop in Playa del Carmen in 1974, and also the first bar on the beach there. He is also a world renowed sailor and captain, and has won several sailing regattas throughout the world. He told me he won the Cuba Sailing Regatta in 1988, and got to meet Fidel Castro. He has a lot of stories and he has sailed around the world, and has traveled the world extensively. 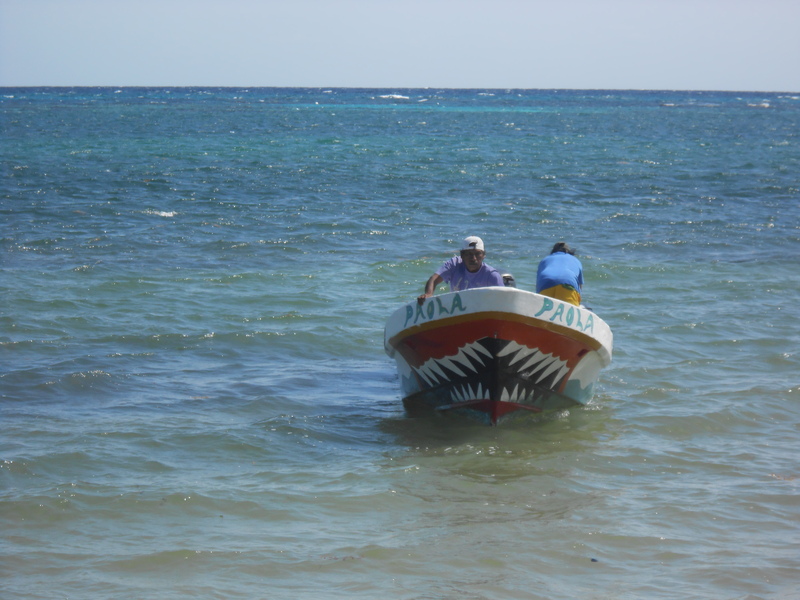 He now gives tourists snorkeling tours in his boat off of his beach. 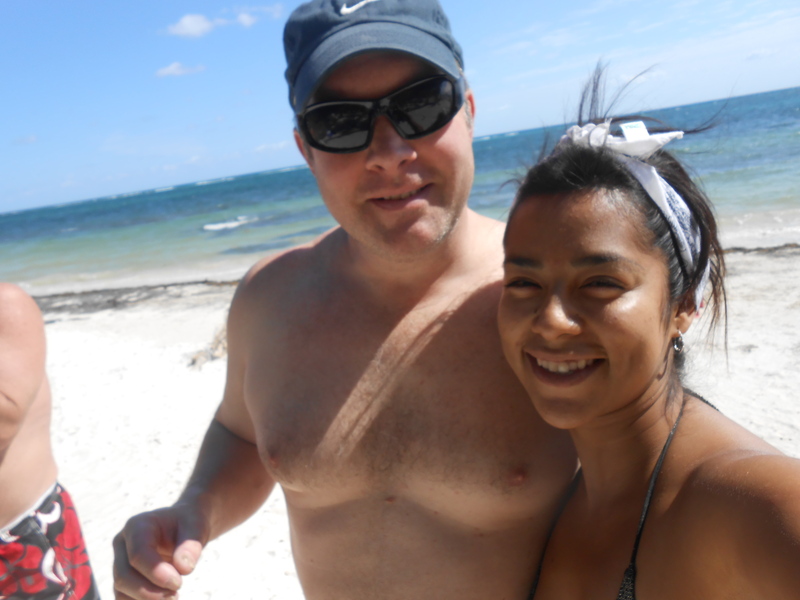 He has a beautiful beach and it reminds me of the set of “Gilligans Island”. I set up the trip for this past Monday and we all met at the Captain’s house. 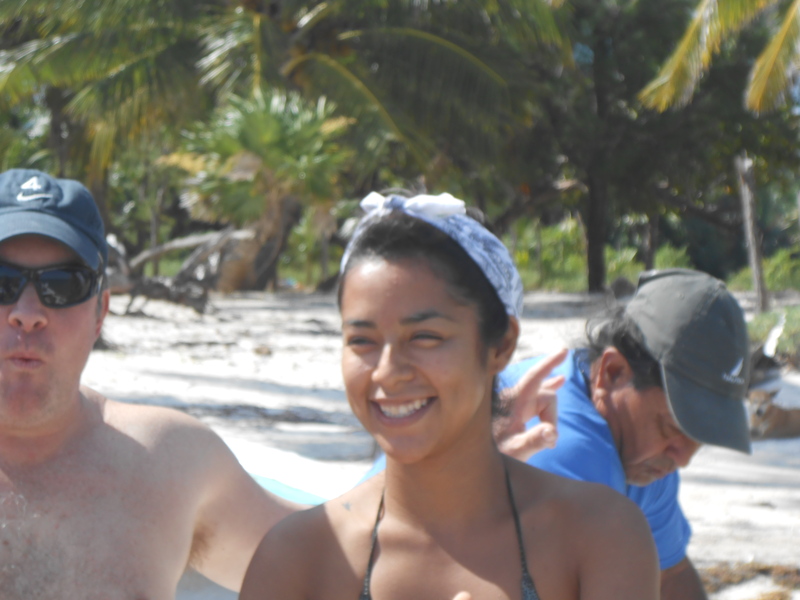 I took along Denisse Sanchez a friend of mine, because she had heard of Captain Huacho and wanted to meet him. 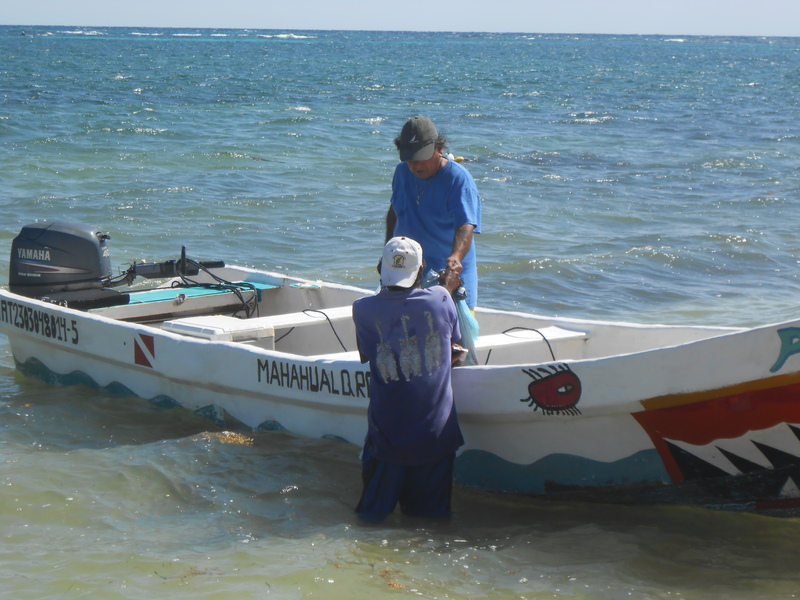 It has been kind of chilly lately, so Trey was not sure if it was warm enough to snorkel, but Captain Huacho eased his fears and said water temperature never changes much here. 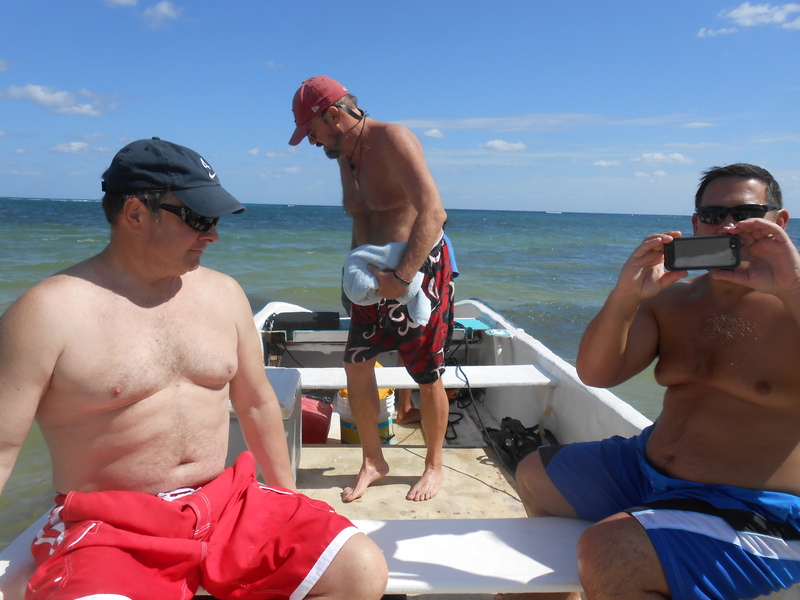 We set out the four of us and the Captain in the boat and traveled maybe half a mile from his beach and we started snorkeling. 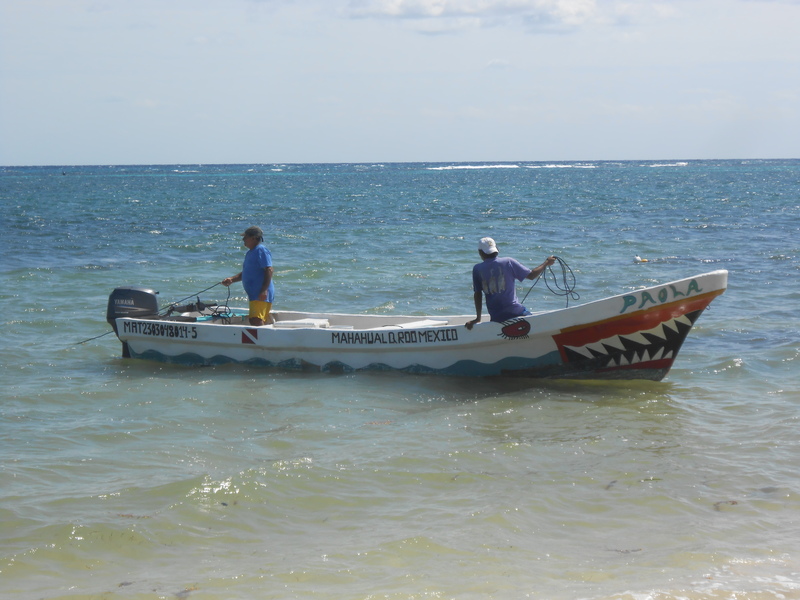 The water was warmer than I thought and it was great visibility, and everybody got to see a lot of fish and coral life. 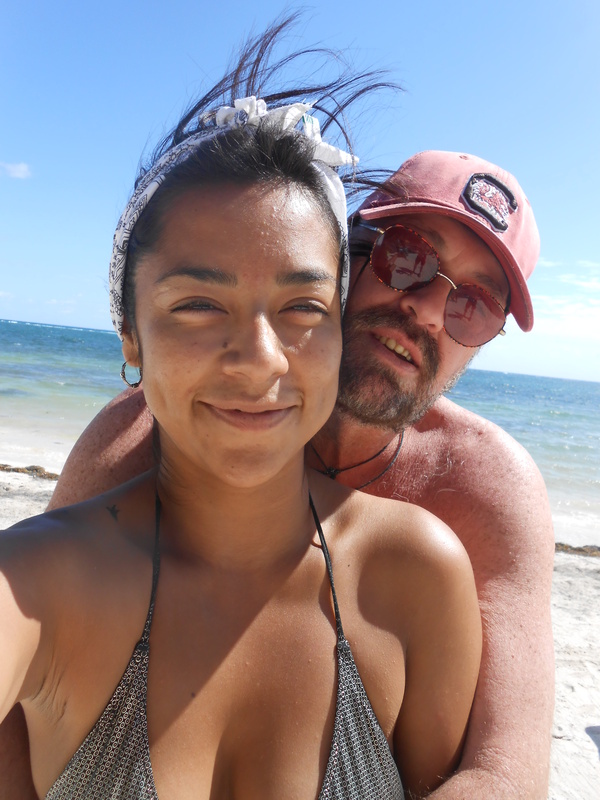 I was kind of worried about taking Denisse with us, her being a woman, I did not know if she could swim well, or be able to keep up with three of us men in the water. Well I was mistaken, she jumped in the water and was a natural. 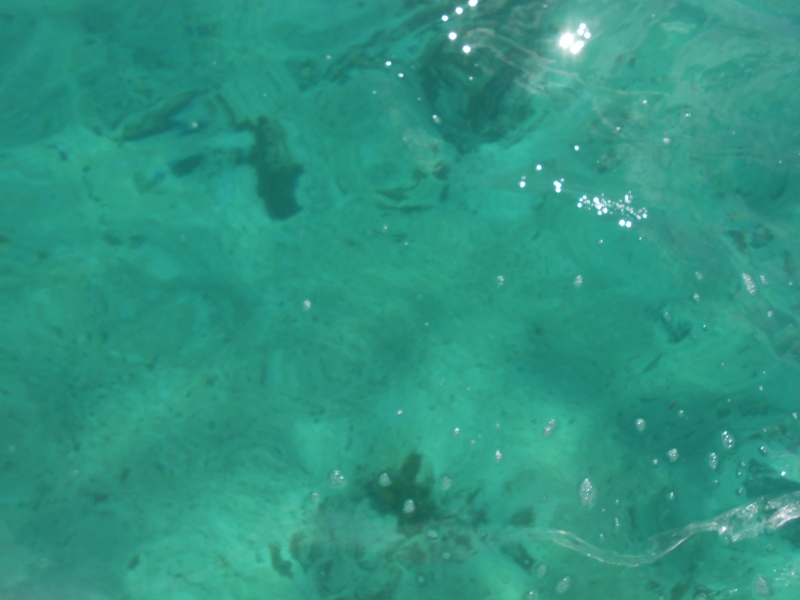 She was raised in Cancun, so she had grown up her whole life in the water. 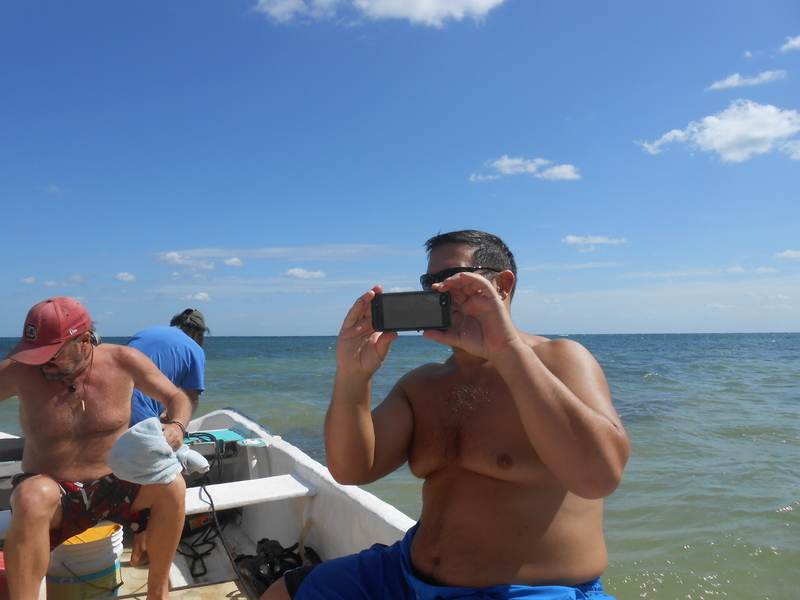 We explored the reef, and Trey took some underwater photos of us all, and the water was crystal clear. 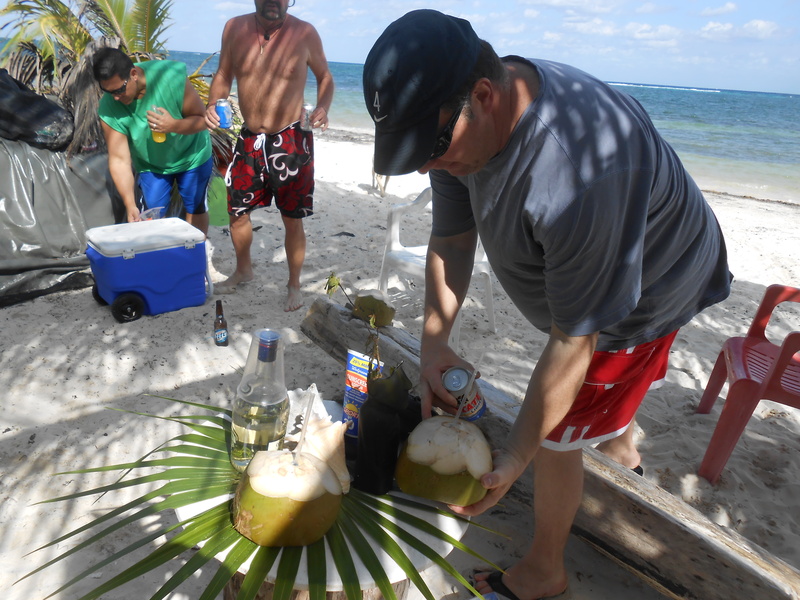 We snorkeled for awhile and then headed back to shore for lunch and some drinks. 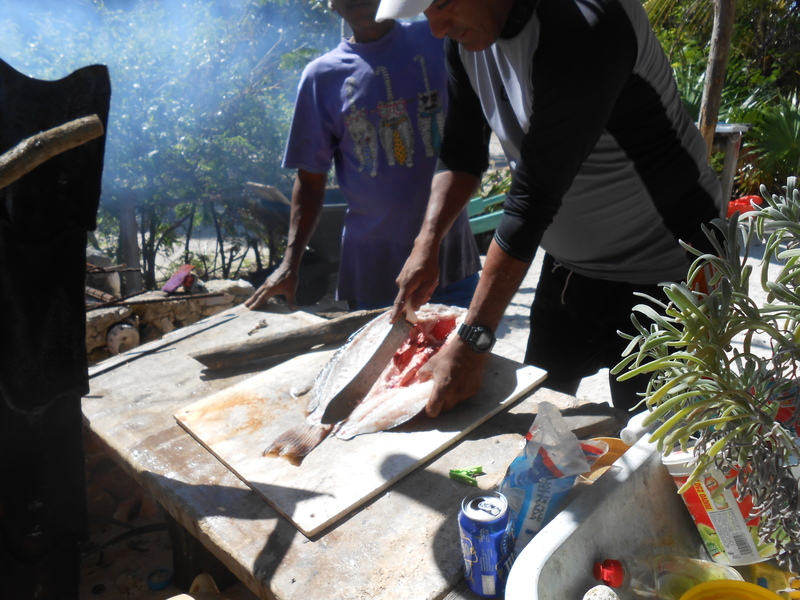 Captain Huacho had grouper prepared for us and it was excellent, along with coconut water, tortillas, rice, and everything common here for a shore lunch. 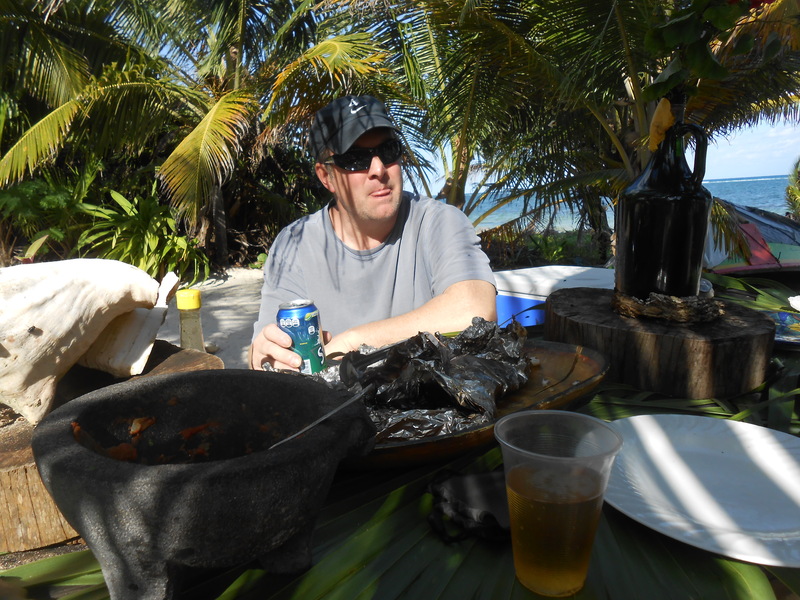 Trey brought the Captain a bottle of rum, and he did he usual story telling about the history of his life and his lifestyle here. We sat and ate had some drinks and talked and had a good time. It was my second or third time visiting Captain Huacho, and I am entertained every time I go there. I think Trey and his friend had an unique experience that they will remember for a long while. 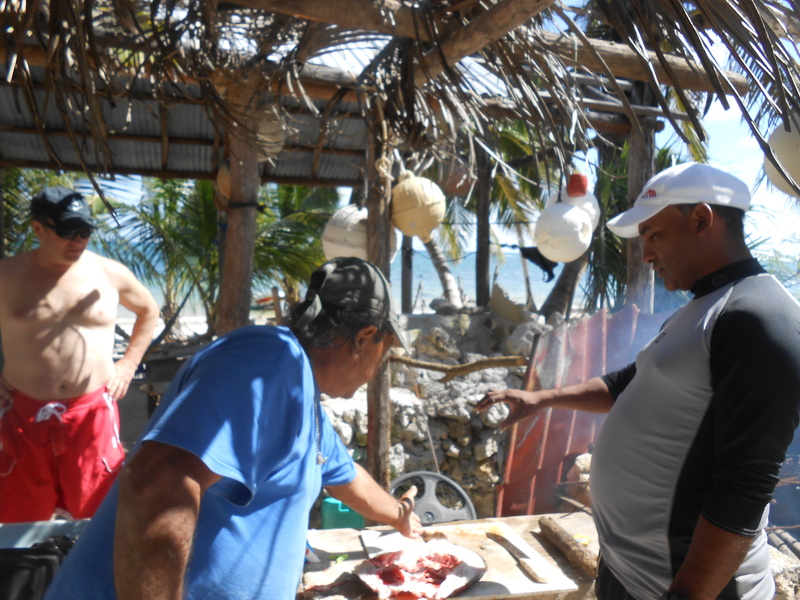 The snorkeling was great, food great, and the atmosphere amazing, and the conversation interesting. 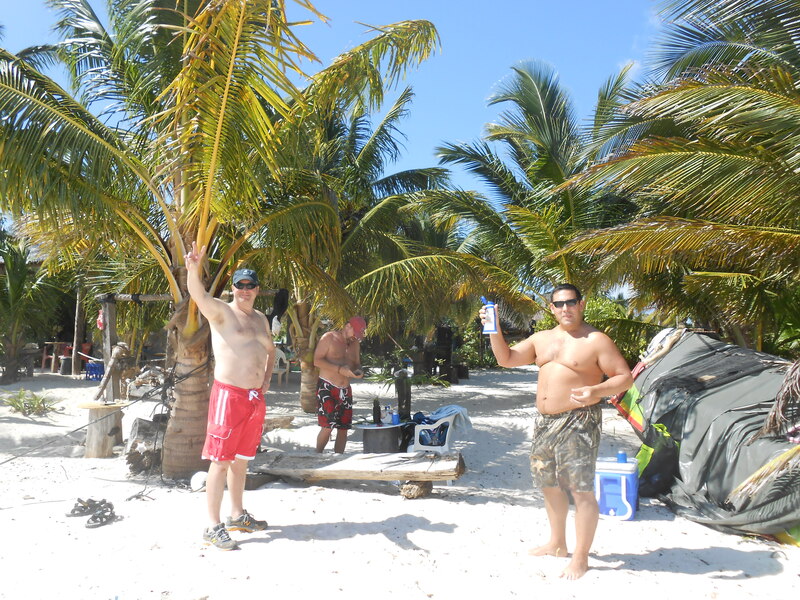 All in all a great day in Costa Maya. 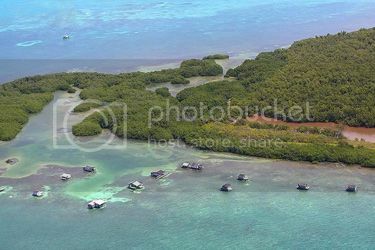 If any of you want to take a snorkeling trip or visit Captain Huacho’s beach, contact me, Stewart Rogers at s.rogers.920@hotmail.com and I can hook you up. 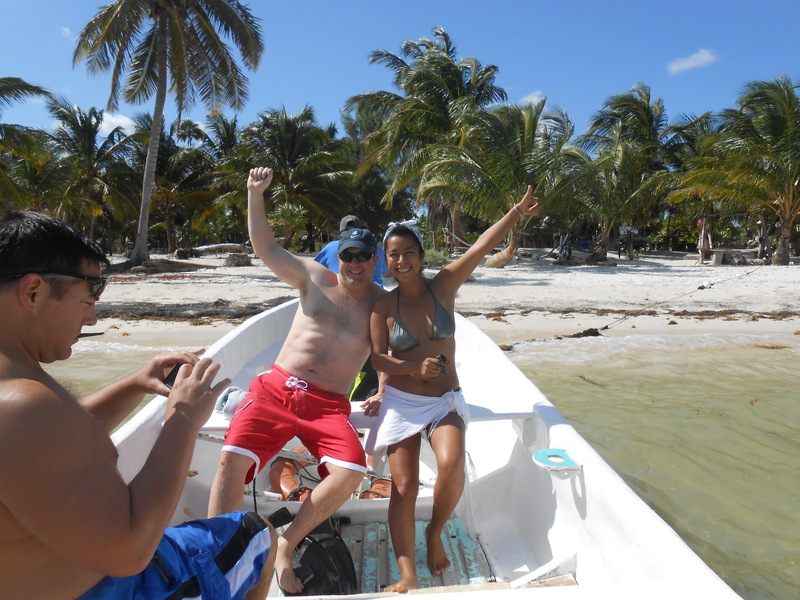 It is a great experience and one to check out if you are in Costa Maya. This is an article I came across about how safe it is in Mexico, good read. In the debate on immigration reform in the US, the facts on safety in Mexico have become a casualty of politics. To change public opinion and policy, politicians sometimes throw fuel on the fire. If you make up an exciting story about “severed heads in the desert”, it gets a lot of attention and people believe it. The governor of Arizona admitted this story was baseless, but only after months of damage was successfully inflicted to the image of Mexico. The homicide rates above are facts from the FBI, not political fabrications. First of all I would like to apoligize to our loyal readers and followers of this blog. Over the past week all of the past posts and articles on this blog http://www.costamayalife.com have been deleted. All the archives and posts for the past two years have vanished. We can’t figure out if the post was hacked and the password stolen, or was done accidentally by WordPress or some other factor caused the erasure of all the past posts and photos. It is very disappointing and disturbing to us that all this hard work and information has been deleted. If you perform an internet search and you may come across a blank page with just the title of a post and no content, I again aploligize. Article and post titles will still continue to show on most internet search engines. I still have the titles and photos of all past posts and articles, and plan to repost these in the future. 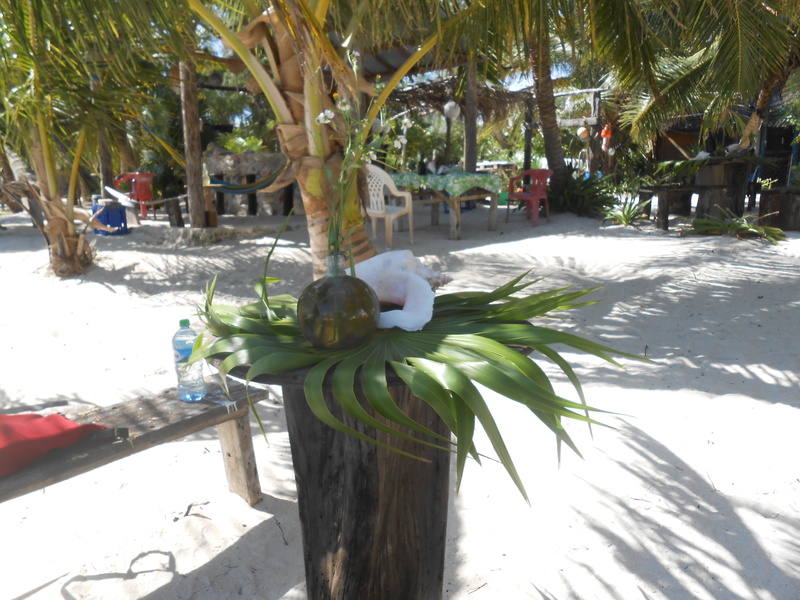 Also I have been reposting past posts about Mahahual to provide content until posts can be rewritten and posted. Because I am reposting past articles, some of you followers of the blog may get a number of emails containing new posts and updates. I will try to keep these to 2 or 3 a day. I have reposting and reblogging and did not realize that some of you may be getting numerous emails each day. I was alerted to this today by some loyal followers who live here. I plan in the future to write a current blog each day and also try to reblog a post from the past to try to recover some lost information. If any of you followers or readers have a particular post or topic you remember from past posts, fill free to comment below and I will be sure to include that information. Also if there is anything subject matter or topic you would like to see more of this blog, let us know. 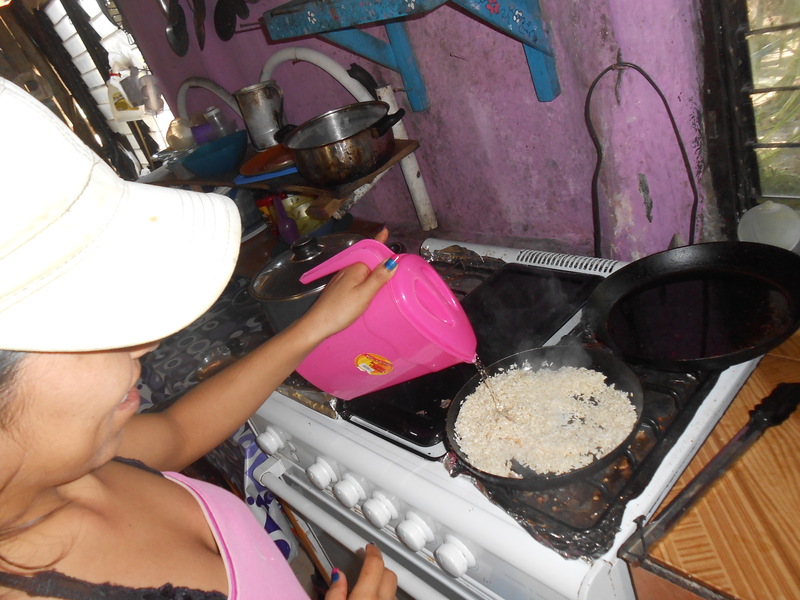 Again, I apoligize for any inconvience, you have or may experience on this blog because of deleted posts or photos. If you reach the blog on a search engine and no content is shown, just click home page and you will be directed to current articles and photos updated to meet the search topic you were looking for. Thanks for your support, and I hope you continue to keep reading and following in the future.